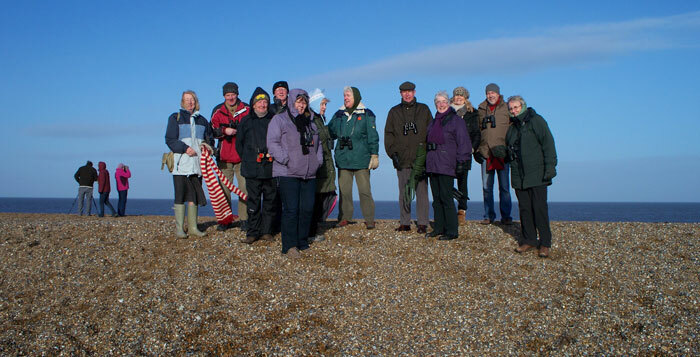 Chairman Mel Laxen led a dozen members and visitors around the square mile at Cley on the Sunday afternoon, one of the rare fine days of the winter. 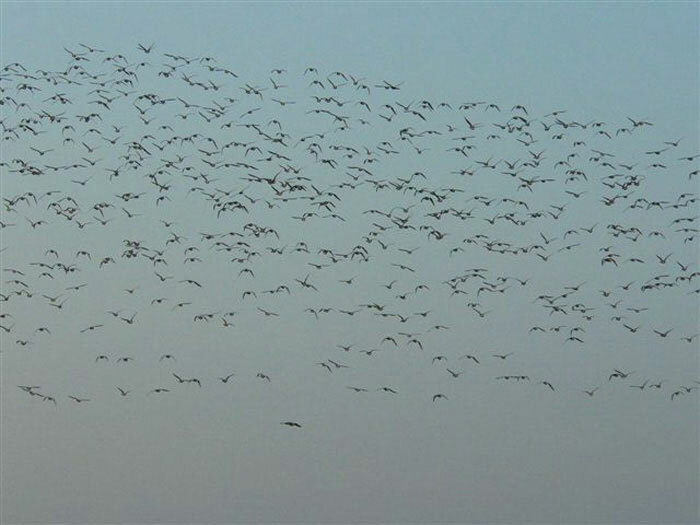 Starting at the Beach Hut car park, we walked east, noting and hearing the large flocks of Brent geese in nearby fields. The degradation of the shingle bank was immediately obvious by its absence and as we neared the East Bank ridge we scanned the sea but with no results - it was too calm, for once. In the fields meadow pipit, skylark and linnet showed while in the distance marsh harriers flew low over the reedbeds. The pools held the usual range of waders with a lone grey plover standing out clearly. A brief stop at NWT's splendid Visitor Centre made an agreeable break before continuing along the path by the Beach road. 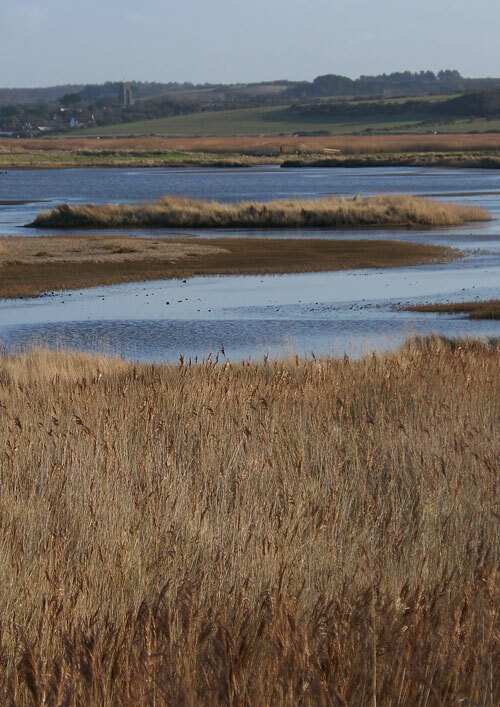 The views over the reedbeds, glowing gold in the setting sun, were a welcome sight after the greyness of the preceding days. While there were no unusual sightings among the forty species, this was a satisfying total and an invigorating walk enjoyed by all.